It's been long since the last post. I hope you've been doing well. Recently I made this pullover. I really love it and used so many times by now. It is a very relaxed top with a bit of feminine touch. 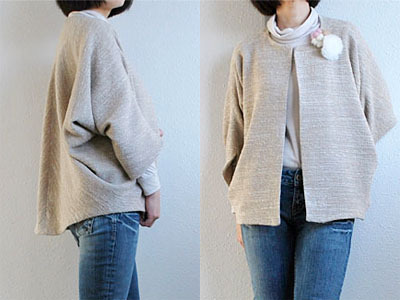 For this light pullover, I used a jacket pattern which had a funny shape. You can see the interesting technical drawings of Hilda Jacket pattern here. I once sewed a tweed jacket from the same pattern, and had a good impression of it at all. This time I made the front center sewn-closed, attached a pair of cuffs, made an elastic casting in the bottom hem, and used a light wool jersey. Uh-oh I almost forgot to tell that I attached a facing around the neck. I love wearing it, not only because it looks pretty on human, but also because it has a good feature of itself. 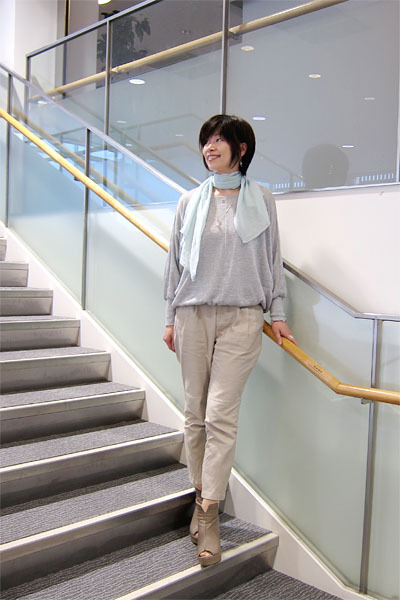 Unlike those usual dolman(batwing) sleeves, this can be worn under a jacket/coat without any problem because it has a good amount of fabric under arms. It may sound insignificant in words, but it is actually very inconvenient if a garment can not be worn in a jacket because of its shape. 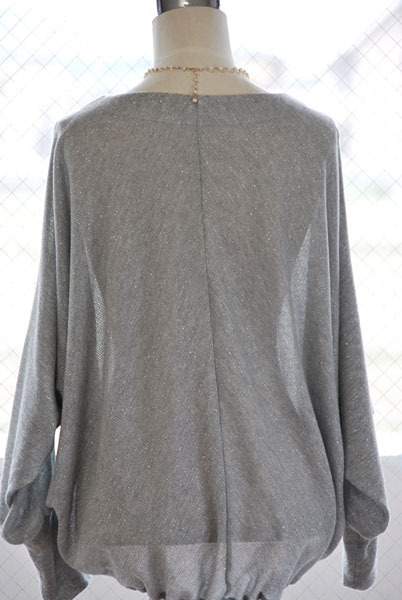 Have you ever wished your dolman sleeves, which are folded under your jacket in a clumsy manner, to vanish? I have. So many times!! probably thinking of the endlessness of the cosmos, or tomorrow's lunch.